These days, with email and instant messaging, the only physical mail we get seems to be junk mail. But if you are a business trying to market your goods or services, how do you separate your advertising materials from the rest of the junk mail that people find piled up in front of their doorsteps? In essence, the answer lies in being able to make your marketing materials stand out from the rest. Basically, people should be excited about receiving your advertisement. What can you give potential clients that can make them excited about doing business with your company versus another company? 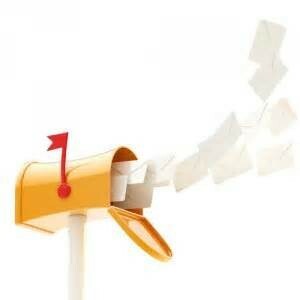 Here is how to improve response for your direct mail marketing efforts. Firstly, your direct mail marketing campaign can’t be bland. Boringness is the best way to kill a direct mail marketing campaign. When someone sees their pile of junk mail after a long day of work, yours should be the one they pull out first and set aside. But how do you do that? The key is to have a combination of eye-catching copywriting and design, and also a great offer. Can you offer your product or service for free – for a limited time only? Can you promise something no other business can promise? Finding this X factor is crucial when you are planning your direct mail marketing campaign. Also, design is everything. If your call to action, or sales offer, is hard to read or blends in with the rest of your text, chances are that it won’t pop out. So, choosing the right size font to say what you have to say is important. However, it doesn’t stop there – you need to have a really great font. The font you choose should not only be aesthetically pleasing, but it should also be really easy to read. This is why sans serif fonts are effective – clean, easy to read and digestible. Next, you have to be everywhere at once. When it comes to a direct mail marketing effort, you need to blanket the widest swaths of your target demographic in as many regions as you can. Also, for this method to be the most effective, it needs to be done in one or two days. This can be made possible by contracting a direct mail marketing fulfillment center. Instead of dealing with the logistics yourself, have the professionals do it. For instance, KD mailing fulfillment centers offers a service that promises to blanket 98% of the entire US in less than two days – talk about effective. Lastly, you need to monitor your success. The only way to improve response when blasting out a direct mail advertising campaign, is to monitor how effective past campaigns were. Past response is always a good indicator of future response, especially if you continue to do the same thing. The secret, however, is to never do the same thing twice, especially if one campaign sunk and another was more successful. When it comes down to it, your response should be better every time. You might have a few duds, but the key is to make the winners keep winning.